Fleas and dogs have a never-ending and an unwanted relationship. Somehow fleas manage to hop up our furry friend’s back in every season in spite of using effective treatments. As summers are in full fledge now, the fleas would be making their way to your home and pets. Along with the suitable flea treatments, it may be better to use some natural remedies too. A balance between these two preventive methods may do wonders for your dog’s health. Let’s check these 10 natural remedies to shoo away dog fleas! If fleas are prevented rather than eliminated, then things could be a lot easier. So, never be in any misconceptions that a specific season is responsible for flea infestation. These pests are likely to develop in winters inside your warm home where the room temperature is enough for their life cycle to spring. Never stop the preventive measures, be it any season. Mow your backyards regularly. Outdoor dogs usually catch up the flea infestation from lawns and untrimmed grasses. Having them trimmed regularly will not allow the fleas to hide in the bushes. So, this will make the backyards safe for your pooches. 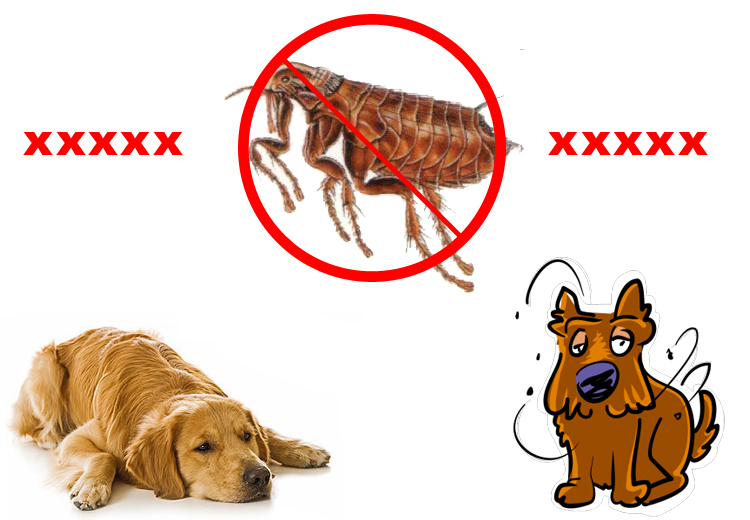 If you even see a single flea on your canine’s body, go for “Lather, rinse, repeat” session. Choose an herbal shampoo having cedar, eucalyptus, lavender or citrus in it. Cedar is known for repelling fleas. Thus, after the wash, its repellent property may not let fleas to even hop around your dog. After giving them a cedar bath, comb their fur with the flea comb. The fleas that may have not been removed with the bath will definitely come out with the help of this comb. Regular grooming of canines with flea combs may prevent the flea infestation in them. Though fur coat is the charm of any pooch, it is recommended to get it groomed regularly to block the flea infestation. The longer the coat is, the more you may be at the risk of flea infestation. You may not have the heart of chopping your pooch’s fur, but it’s not like you have to make him totally naked. Just cut to the length where it may be easier for you to comb his fur, especially in summers. Clean household can fight fleas easily. Keep your carpets, beddings, floors and their corners impeccably clean as adult fleas lay eggs in every reachable place. To remove fleas completely, it is necessary to clean the house. It may be a surprise, but sprinkling salt on the beddings and carpets can actually repel fleas. Sea salt or the normal salt will work perfectly. Grind it into fine powder and sprinkle on carpets and beddings with the help of a spice bottle. Leave it for 12-24 hours and vacuum thoroughly. Salt acts as a dehydration agent and dries out the bodies of fleas. The other agent that shoo fleas away is Boric acid. It works almost the same as salt. It acts as a dehydrating agent and kills fleas. Vacuum the whole place before working with borax. Sprinkle it all over the floors and every other place where your pooch lies. This will kill adult fleas, eggs and larvae preventing its re-infestation. Leave it for 12-24 hours and vacuum. Use the herbal flea sprays to eliminate them from your house. If you cannot find any herbal sprays, make yourself one using vinegar (4 liters), water (less than 2 liters), lemon juice (500 ml) and witch hazel (250 ml). Spray this using a garden sprayer in your house. Wash the covers and other things that could not be sprayed upon at hot temperatures. This will kill the juvenile life stages of fleas. Vacuum wherever you have sprayed after a few hours. Last but not the least, consult your veterinarian before starting with any treatment, whether a chemical one or an herbal one. Taking a vet’s opinion can ease things out for your furry friends. So, are you ready to fight off fleas with these natural remedies? Take the pet care to a next level and try these tips to have a flea free and blissful summer with your pawed buddies.